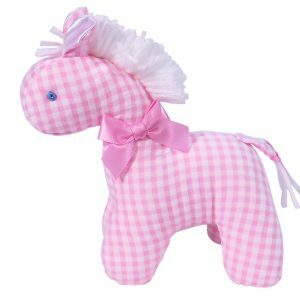 Tulip 48cm Bear Pink Check has a super soft toweling body. She wears a pretty pink seersucker dress with white bloomers and pink ribbon accents. 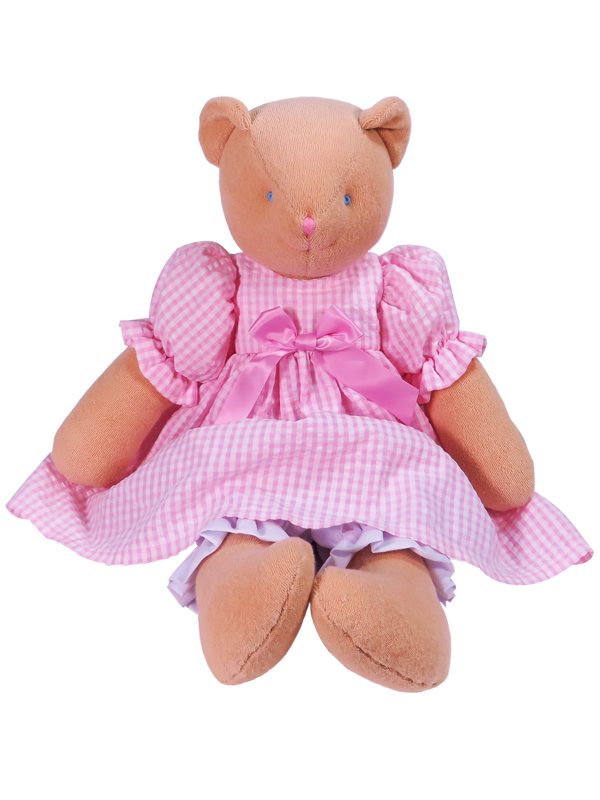 Designed to be the perfect security toy for your baby, Tulip 48cm Bear Pink Check is sure to be a favorite! Clothing is removable. 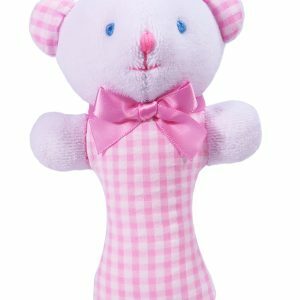 Add a matching Pink Seersucker Check Bear Ring Rattle and make your baby gift extra special! Kate Finn has been designing baby toys since 1978. Recognized in the marketplace for high quality and beautiful fabrics, giving a gift designed by Kate Finn no matter how small is giving a gift that will last and be treasured. 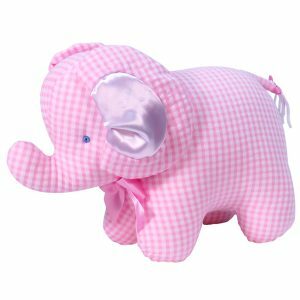 Baby Toys by Kate Finn are designed to be soothing or stimulating and with safety in mind. Collections are created to enhance baby room decor. Select a variety of complimentary shapes to make your baby gift a gift with a difference! 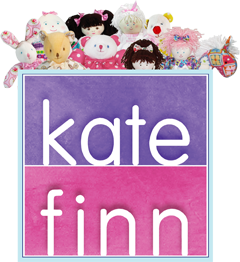 Kate Finn designs fabric themes so that Baby Toys can match Rag Dolls and our stunning range of Golliwogs. 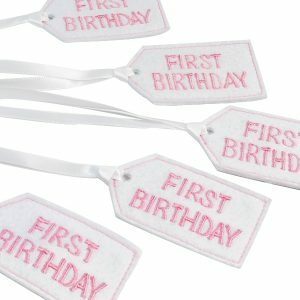 Embroidered Felt Gift Tags – Kate Finn offers a variety of Gift Tags to commemorate important events such as First Birthday and First Christmas. Tie them to the wrist of a Doll or Golliwog or to your gift wrapping. Attach them to Party Favor Bags or hang them on Christmas Trees, as they are reusable the uses for these cute tags can be endless! Doll Stands are a handy tool to help display your collection of Baby Toys, Rag Dolls and Golliwogs. Place the clamp around the waist of the doll then slide up and down to reach the correct height to ensure the doll stands upright. Available in a variety of sizes. Kate Finn Toys Get Animated! Kate Finn has created a series of short animated stories for children under 5 years old. Download the series from the Kate Finn YouTube Channel and keep your little ones entertained for hours!